Posted on October 16, 2011 by Mia G.
I would always be a proud of my roots as a Filipino, no matter how other nations deem us. Filipinos are always hardworking and persevering, and would do whatever it takes for the sake of the family. For those who sacrificed their family life to provide a better future for their own respective families, one day you shall reap the fruits of your labor and shall be reunited with your families once again. 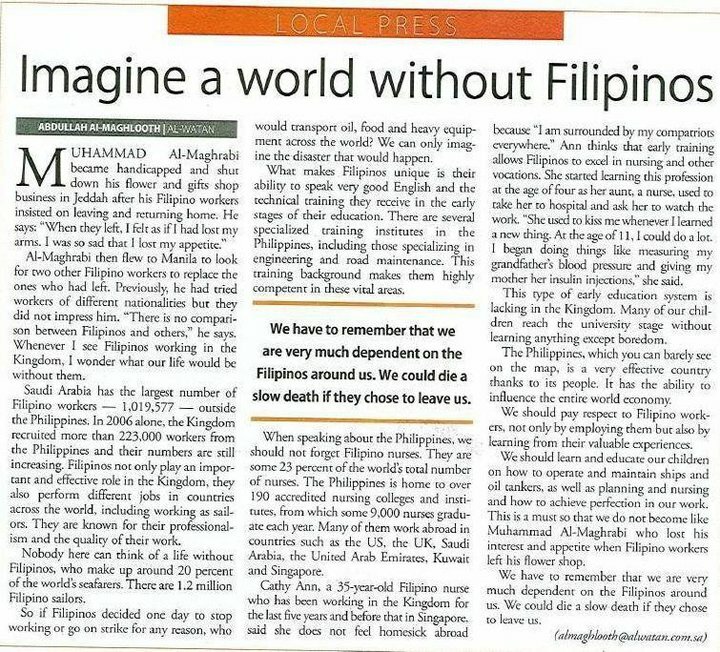 Filipinos are more than just laborers, we just put our heart in everything that we do.